Smartphones aren't cheap and cellphone companies no longer subsidize them as a way to keep you in a two-year contract. So, AT&T hopes to draw some interest with its new promotion to give away a free phone when customers add a new line or upgrade an existing one. But it's really not as simple as a buy-one-get-one-free deal. There are a few strings attached. First, it's not just any smartphone. 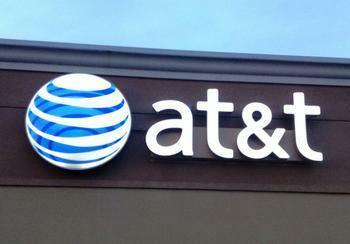 AT&T says participating customers may choose from three popular models. The press release announcing the deal doesn't say what they are. To qualify for the deal, you must have eligible service, spending at least $70 a month.You also have to add a line and purchase both new devices on AT&T Next or AT&T Next Every Year. And the free phone isn't exactly free, at least not in the beginning. Under the promotion, you will still be billed the installment costs of both phones, but you'll get a bill credit to offset the cost of the second phone. Only you don't get it right away. You'll pay the first three installments before the credit begins to kick in, and you'll pay taxes on the device upfront. AT&T says the monthly bill credits for the second device can total up to $695 over 24 to 30 months. "We are excited to offer our customers our first Buy One, Get One of the year," said David Christopher, chief marketing officer, AT&T Entertainment Group. "It includes options for everyone, including business customers." It also includes new customers who switch from another wireless provider. New AT&T wireless customers can get $650 in credits and may use the credit towards the purchase of their first device. If you prefer to pay for your smartphones in full up front, rather than pay on the installment plan, you won't be eligible for this deal. All providers now prefer that you pay $25 to $30 a month for your phone instead of paying all at once. Even though all providers have ditched the two-year contract with an early-termination fee, they know that customers are less likely to make a change if they are still paying on a phone, and will have to pay the balance if they leave.